Bill Maiola was determined to make a difference in lung cancer research. Bill and Grace Maiola started a fund to support lung cancer research. Bill Maiola was an unstoppable warrior. He never wanted to hear "no" or that something couldn't be done. The biggest challenge of his life came in April 2012—one week before his daughter's wedding—when he was diagnosed with stage IV lung cancer. He had never smoked, there was no family history of cancer, and the 64-year-old exercised regularly and watched his diet. Maiola defied the odds for almost four years. During that time he and Grace, his wife and cheerleader for 46 years, decided not only to get the "best-of-the-best" care, but also to change the future for others. "Being in a research institute like Emory is exactly what a cancer patient needs," says Grace. "You have access to ;the most brilliant people dealing with the most cutting-edge medicines and access to clinical trials and the latest treatments." Inspired by his care team and the groundbreaking research at Winship, the couple created the Maiola Family Fund for Lung Cancer Research. "Supporting research goes much further than Emory," she notes. "We were grateful for what we had, and we wanted to be part of the solution. That's how Bill thought in life—solutions." "Bill was one of the nicest human beings I've ever met," says Winship Deputy Director Suresh Ramalingam, who, with his predecessor Fadlo Khuri, treated Bill Maiola and became his friend and admirer. "Together, Grace and Bill fought his diagnosis with an optimism and strength that moved me. They shared a dedication to championing funds for lung cancer research that will help all families faced with this disease, not just their own." Early treatment held Bill Maiola's tumor in check. When the tumor began growing again, Maiola was among the first U.S. volunteers for a human trial of a targeted medication called AZD9291. He was in the right place at the right time. Ramalingam was one of two lead U.S. investigators for the international trial, which subsequently confirmed that the drug could shrink tumors and improve patient outcomes. The FDA has since approved the drug. 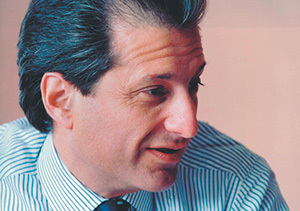 Bill Maiola rallied for almost two years before his body developed resistance to AZD9291. Gifts like the Maiolas' are critical. Historically, funding for lung cancer research has lagged behind other cancers and has not kept pace with the magnitude of the problem, says Ramalingam. Bill Maiola's grand strategy is already showing results. The fund has raised more than $320,000 from family, friends, and former colleagues at the Coca-Cola Company, which matches employee contributions. Those "seed dollars" are particularly welcome because early support for promising ideas is key to securing major grants from the National Cancer Institute and other funders. In one such project, Emory researchers developed a new approach to block mechanisms in tumors that lead to drug resistance. Bill Maiola passed away in February 2016, ever optimistic and looking for new solutions even in his final days. Today his head cheerleader plans to carry out his wish to raise $1 million for lung cancer research. "It's an opportunity to show how much we loved Bill and to make a difference." To learn more about the Maiola Family Fund for Lung Cancer Research, contact Jennifer Daly at 404-778-4270. Vice President Biden challenges cancer researchers to double the rate of progress against cancer in the next five years. Four patients whose amazing feats make us say, Wow! A few of the people who embody the spirit and enthusiasm of the Winship Win the Fight 5K. 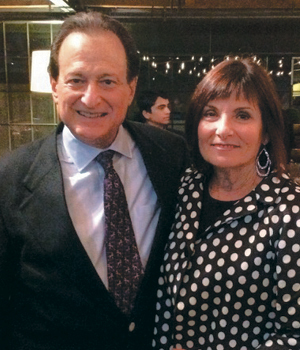 Wendy Baer shares advice for patients facing cancer again. Winship Executive Director Dr. Wally Curran calls for The Winship 80. Celebrating 5,000 bone marrow transplant patients.